Issa Rae is indeed an all-rounder in the movie industry. Talk about writing, editing, directing and acting, she is there and is leading in all categories. There’s really no stopping the hard worker who has proven that one can truly be a jack of all trades and a master of all. Here is all you need to know about her. Jo-Issa Rae Diop was born on January 12, 1985, to her parents; Abdoulaye Diop (father) and Delyna Diop, (mother). Young Issa spent some of her childhood years with her four siblings in Senegal, before her family moved to California, United States. It was quite fortunate for the family as Issa’s father, a paediatrician was able to practice his profession in the US. Growing up in the US was not all seamless as she dreamed of. Her family had stayed in Potomac, Maryland where blacks were not widely embraced. However, the environment became more conducive for Issa when her family moved back to California. She was enrolled at King Drew Magnet High School of Medicine and Science, which was where she began to develop her talent. As a young lady who loved to pass time with rapping, Issa would rap and play with lyrics while she entertained her friends in school. She started acting at the school, as she participated in school drama shows. She made her way to Standford University where she graduated with a degree in African and African-American studies. She further expanded her horizon while in the school as she further developed her art skills. For the love of art, she wrote, produced and directed plays as well as made more music as leisure. One of the products of these leisure work was her series ‘Dorm Diaries’. After Stanford, Issa enrolled at New York Film Academy, which was where her career kicked off. With the help of Tracy, whom she met at Stanford University, Rae produced her first web series ‘Awkward Black Girls” which premiered on YouTube in 2011. The series became a hit and drew lots of attention towards her. Ace music producer, Pharrell Williams was one of those who fell under the spell of her amazing craft. As a starter, Rae and her producer Tracy had financial challenges regarding the airing of the series, though they got donations from people for the whole of the first season. Pharrell then intervened on the second series when he partnered with Rae to premiere the season 2 on his YouTube channel ‘iamOther’. 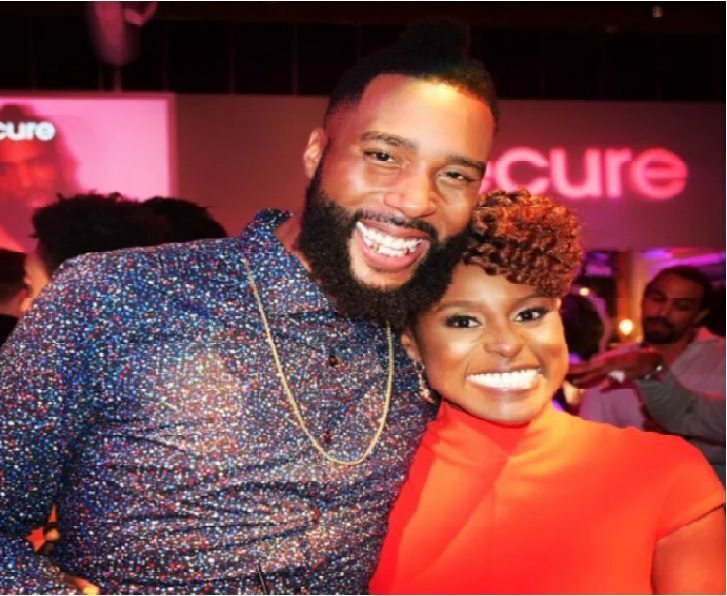 She didn’t stop there, work continued immediately for Rae as she began working on another series ‘Insecure’ which was based on the fictional presentation of an African-American woman. The series which she wrote with the help of Larry Wilmore, got the approval of HBO who saw to the financing and logistics. The exceptional movie which greatly got the attention of the public made it to the top 10 television series of the year, by the American Film Institute in 2017. Since then, things have been all colorful for the African-American actress. Issa has a brother, Lamine who is also into entertainment. Lamine, a musician also in the US and is indeed a sight for sour eyes for the ladies. His attractive and handsome looks is always a topic of discussion whenever he makes an appearance on TV or social media. Issa and her brother are close allies who support each other’s businesses. Rae has it all going for her. She is an example of a woman of substance and in her case, a black woman of substance. The beginning of the first series of the Awkward Black Girl alone earned her over 200,000 subscribers on her YouTube channel. Issa is also well known for her memoir, The Misadventures of Awkward Black Girl which was a New York Times best-seller. The book was released in 2015. Also in 2015, she made an appearance on the cover of Essence magazine’s May 2015 “Game Changers” issue. She won her first award at the Black Reel Awards for Television for the year 2017; where she got the accolade for ‘Insecure’ under the category, Outstanding Actress in a Comedy Series. Insecure also earned her another award ‘Best Performance in a Comedy’ at the NAMIC Vision Awards (2017). The writer and producer established Issa Rae Productions, a label which mostly promotes black content. Rae’s Misadventures of Awkward Black Girl made her the first black woman to create and star in a premium cable show. Issa Rae is one of those celebs notoriously private with their personal details and for this reason, her net worth has not been verified. However, she enjoys a comfortable life of wealth and luxury which can be seen in her choice of cars and house. Making series of appearances on social media with her brother Lamine, one may wonder if the versatile diva is in any romantic relationship. Being a private person, it is not clear if she is dating anyone, but there have been circulating rumors that she is romantically involved with Kofi Siriboe, a Ghanaian-American actor, and model. The two are always seen on social media portraying cuddly simulations and as a result, fueling relationship rumors. However, neither of them have come out to affirm their status. Versatile Rae has got the right body for her profession. A suiting height of 5′ 8″ and a proportional weight of 60kg gives her a tenacious and elegant stamina. The beautiful writer wears a size 7 (US) for her shoes and has a body stat of 33-24-33 inches. Her slender body fits into a size 6 dress and she wears a size 33A for her bra.